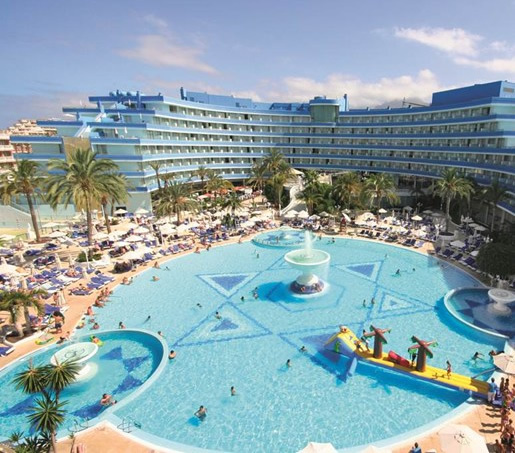 The Hotel Mediterranean Palace enjoys a privileged location on Playa de las Américas (Beach), in Tenerife. It is a impressive hotel facing the Playa del Camisón, with 535 rooms and suites: family rooms, communicating rooms, rooms with private pool and rooms overlooking the ocean, the pool or the Teide mountain. These comfortable and spacious rooms transform the Hotel Mediterranean Palace into the ideal place to spend an active holiday with your family, partner or friends. 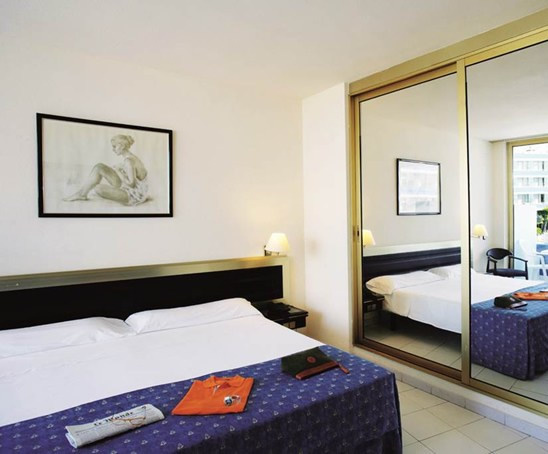 If you are looking for holidays in Tenerife, with endless amusement, personalized care and service, in a comfortable hotel and well located facing the Tenerife Beach, the Hotel Mediterranean Palace is ideal for you. All rooms are air-conditioned and are fully equipped, they include; en-suite bathroom, hairdryer and telephone, satellite TV, direct dial telephone with answering machine, fridge, safety box, desk, pay per view TV channels, Wi-Fi, and either balcony or terrace. Most of the rooms and suites can be inter-connected to fit the requirements of families and small groups. In addition, 12 of the Suites at the hotel feature a terrace with a small private splash pool! All rooms have 24 hour room service. 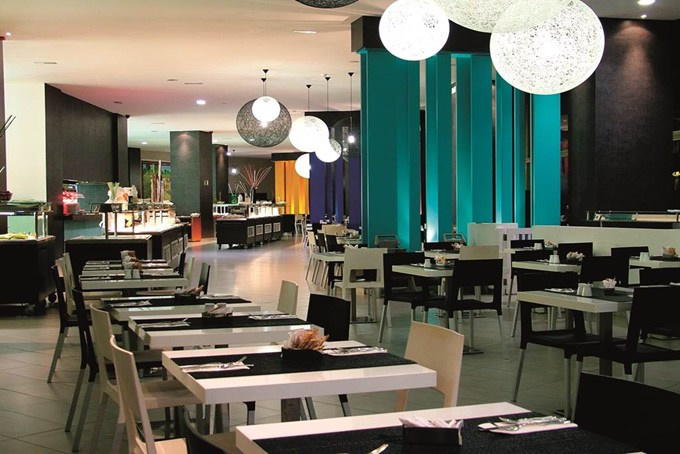 The advantage of staying in the Mare Nostrum Resort is underlined at meal times, the complex offers a variety of culinary options from the hotels buffet restaurant or a la carte dining at the Windsor Restaurant located in the Hotel Sir Anthony (reservations need to be made in resort). The Mediterranean Palace hotel also has pool bar 'vitaminas' for that lunch time snack. The Med Palace is also home to a sports bar and the Atlantis chill Out. The Mediterranean Palace hotel hosts a daily entertainment programme with many activities for children and adults, as well as shows, live music and a mini disco every night. Also the complex features an array of sport and leisure facilities which includes the 1,300 square metres outdoor swimming pool with fountains and includes 3 satellite pools (1 for children), ample sun terraces and gardens, towel service, children's playground and mini-club, tennis court and mini golf course. 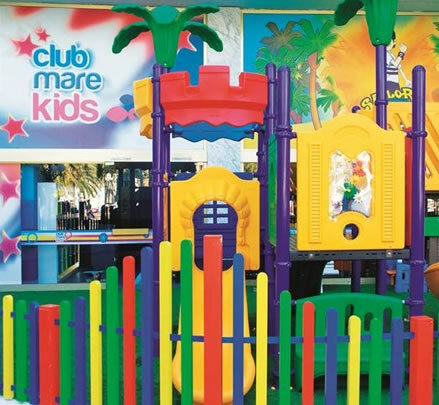 The children's club cater for children from 6 months to 12 years. The Mare Nostrum Spa is available with more than 1,600 m2 devoted to health care, beauty and wellness, novel treatments, massage, oriental therapies, which are backed by Thalgo and CARITA Paris. Hotel facilities include a 24 hour reception area, luggage and courtesy rooms for late departures.